The New Moon is Tuesday January 4. Jupiter is easily seen in the evening sky. Venus is visible not far from the bright star Antares in the morning sky. Mercury enters the morning sky. The crescent Moon visits Venus on Saturday January 1, then Mercury on January 3. Morning sky looking east as seen from Adelaide at 5:00 am daylight saving time on Saturday January 1 showing Saturn, Venus, Mercury the crescent Moon and the bright stars Spica and Antares. Similar views will be seen elsewhere at the equivalent local time. Click to embiggen. The New Moon is Tuesday January 4. Bright white Venus continues to rise above the eastern morning horizon and is now readily seen in the early morning sky. Venus, Saturn and Mercury form a line in the early morning sky. Venus is close to the crescent Moon on New Years Day, January 1. Venus's crescent shape is easily seen in small telescopes. Venus will progressively decrease in size and wax towards "First quarter" over the coming weeks. Mercury returns to the morning sky, low on the eastern horizon. 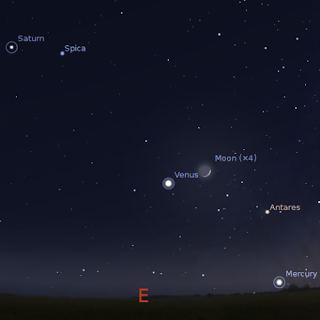 On January 3 the thin crescent Moon and Mercury are close together. You will need a clear level eastern horizon to see them. Evening sky looking west showing Jupiter and Uranus at 10:00 pm local daylight saving time on Saturday December 25. Click to embiggen. Mars are is lost to sight in the glare of the Sun. Jupiter and Uranus are at their closest this week (and will not be this close again until 2024) and are readily seen together in binoculars. Uranus is the second brightest object north of Jupiter and the star 20 Piscium. Uranus in fact bright enough to be (just) seen with the unaided eye under dark sky conditions. A binocular spotters map is here. ...and a Happy Arbitrary Calendrical Overturn to you all. Having too much fun with family and friends to be able to post much, so I'll see you all in the New Year. Correspondent and friend Cyntia Ma sent in this photo of last nights Lunar eclipse. The photo was taken in Hornsby NSW, with a Panasonic DMC-TZ10. She says "you can see Mare Imbrium where Apollo 15 was landed in 1971. They flew all the way to the MOON using 60's technology with an onboard computer less powerful than my phone and half the time my phone doesn't work!" Other Australian photos can be seen at this IceInSpace Thread. Spaceweather has a great gallery of eclipse images. Mike Hankey got some good shots, and there is an Astronomy Picture of the Day gallery with great images. As well, the Bad Astronomer has a great video. The Last Quarter Moon is Tuesday December 28. Jupiter is easily seen in the evening sky. 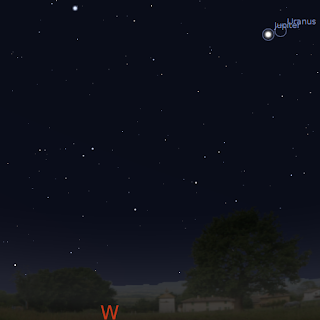 Venus is visible not far from Saturn and the bright star Spica in the morning sky. Mercury enters the morning sky. The waning Moon visits Saturn on Wednesday December 29. 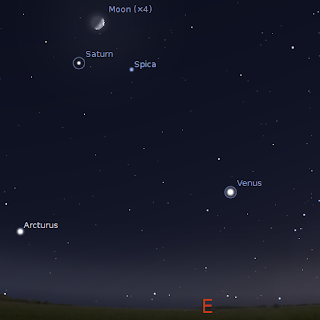 Morning sky looking east as seen from Adelaide at 5:00 am daylight saving time on Saturday December 29 showing Saturn, the waning Moon, Venus and the bright star Spica. Similar views will be seen elsewhere at the equivalent local time. Click to embiggen. The Last Quarter Moon is Tuesday December 28. Bright white Venus continues to rise above the eastern morning horizon and is now readily seen in the early morning sky. Venus, Saturn and the bright stars Spica and Arcturus form a large triangle in the morning sky. Venus's crescent shape is easily seen in small telescopes. Venus will progressively decrease in size and wax towards "First quarter" over the coming weeks. Saturn, is high enough for telescopic observation. You might be able too see the big storm on Saturn if your telescope is big enough. On December 29 the Moon is near Saturn. 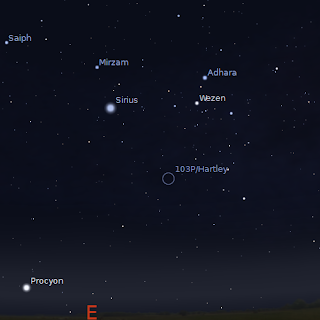 Mercury enters the morning sky, but you will need an unobstructed , level eastern horzion to see it. Marsis lost to sight in the twilight glow. 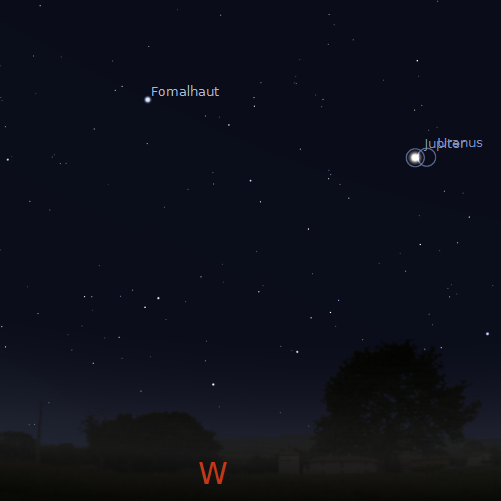 Jupiter and Uranus come even closer together, and are readily seen together in binoculars. Uranus is the second brightest object within a binocular field north of Jupiter (now that 20 Piscium has entered the binocular field), and is in fact bright enough to be (just) seen with the unaided eye under dark sky conditions. A binocular spotters map is here. The Moon rises above the smokestacks of THX power-plant in Northern Adelaide on Tuesday December 21, 2010, with the last of the Umbra, the Earth's inner shadow, slipping off. You can see the edge of the southern part of the Moon darkened (yes, the focus is rubbish, I can't set the camera to infinity of the short exposure settings, 1/15 of a sec in this case). Being in Adelaide, the lunar eclipse was going to be rubbish. Watching the eclipse webcams was disappointing, as everybody seemed to be clouded out. But my Mum rang up and said she could see the Moon in shadow from the window of her kitchen in Brisbane, so I thought I'd have a go at seeing what little eclipse I could get here. So I grabbed my camera and tripod and headed off to find a flat spot without too many houses in the way. I ended up on the platform of the local railway station, where I could see the Moon rising above the power station. Gratifyingly, I could see the definite dark patch on the south edge of the Moon. It loooked far more impressive than the pictures show. I quickly set up the camera and started taking shots, just then a train pulled up and one of my Uni friends got out, I called here over to show her the dark patch, unfortunately a somewhat inebriated person also turned up, who was far more interested in discussing romance than looking at the Moon. A third person also turned up and was directed to the Moon, he was pretty amazed. Unfortunately for my photography, focus was a problem (I can't focus to infinity when on the short exposure settings) as was the fact that the Moon hid behind the smokestacks for a while. Still, I saw part of an unusual eclipse, and was able to share it with some other folks. A pretty good evening after all. Don't Forget the Total Lunar Eclipse this Tuesday (21 December). Eastern horizon as seen from Brisbane at 7:45 pm AEST on Tuesday December 21. The Moon has risen in total eclipse. Don't forget, this Tuesday Australians and New Zealanders will see a Lunar Eclipse at Twilight. If you are not in an area that sees the eclipse, or are clouded out, NASA has a live Lunar Eclipse Feed. There is also a live feed from a telescope in Pakistan (the Khwarizmi Science Society). 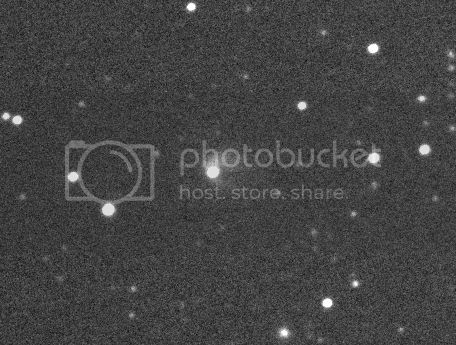 The coma surrounding 596 Scheila imaged with global rent-a-scope G-2 instrument on 14-12-10. Image is a stack of 9 x 60 sec exposures stacked in ImageJ, then SUMMED, inverted, contrast enhanced and despeckeled. After my initial attempt to image the coma around 596 Scheila with a short image stack at astronomical twilight, I though that a deeper stack well before twilight would have better results. Well, as you can see the result is not so good. I was trying to match the sensitivity and resolution of the G7 instrument with a narrower filed of view, hoping to wring more detail out. It didn't work. Why not use the G7 instrument itself? Logistics of work and family meant it was shut when I had imaging time. 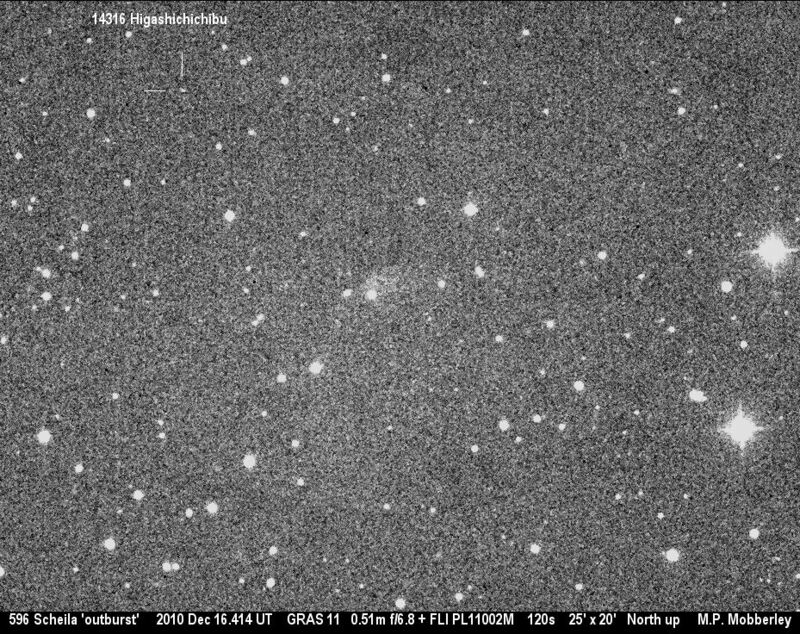 The coma surrounding 596 Scheila imaged with global rent-a-scope G-11 instrument on 17-12-10. Image is a single 120 sec exposure, inverted, contrast enhanced and despeckeled. I then did what I should have done in the first place. Used the G-11 instrument (but no, I just had to be clever hadn't I). As you can see the coma is well described even in a single 120 sec exposure. The coma is still well visible 4 days after the initial discovery, in fact it has been observed visually (though a telescope of course). It is still not clear whether this is an ordinary asteroid that has had a collision, or a dormant comet undergoing an outburst. Interestingly, 596 Scheila is one of 4 "T" class asteroids, which have a number of comet like features and are related to "D" class asteroids, which may be captured Kuiper belt objects. 596 Scheila will reach opposition on 3 February, when it reaches magnitude 13.4 . Following Schelia and the evolution of it's coma over the coming weeks should be interesting, and may throw more light on the evolution of comets. A recent spectrum of 596 Schelia after its outburst is here at John Menke's site, it looks like a lot of dust, apparently. J-F Soulier's images show the evolution of the coma, and another nice image from Francous Kugel, another from Aldo Proiett, Martin Mobberley's G-11 image of the 14th. Finally, Joseph Brimacombe has a nice image and a great animation at his site. From the folk who bought you the citizen-participation astronomy projects Galaxy Zoo, Moon Zoo and the Milky Way project comes Planet Hunters. You can help find extrasolar planets for the Kepler Space telescope team. 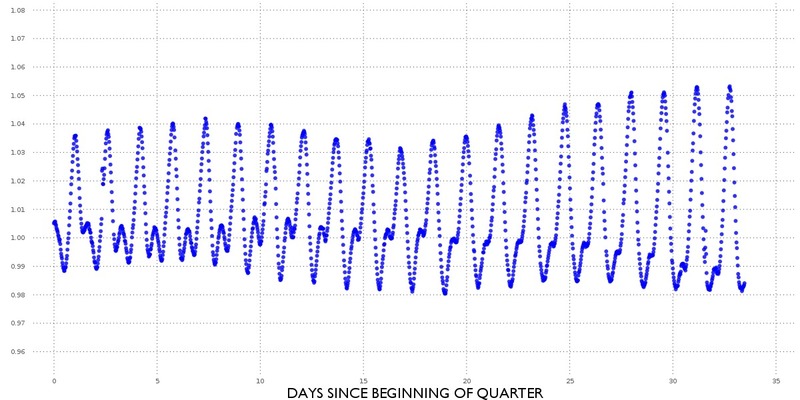 At planet hunters you scan star-intensity traces from the Kepler Space Telescope looking for the characteristic dips in a stars intensity caused by a planet transiting in front of of the star. 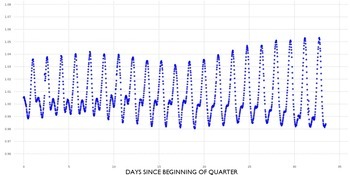 The Kepler folks have computer programs to do this, but people tend to be better at finding the patterns of transits than computers. So this is you chance to aid sicence, and mybe find another world out there. 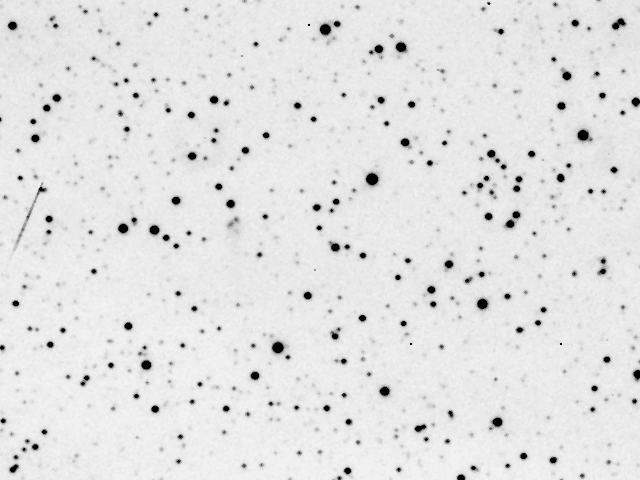 I'm enrolled, but so far I've only found variable stars (see image above). You will need a fair bit of patience as your sort through the traces. But still, finding another world! Imagine that! Eastern horizon as seen from Sydney at 8:30 pm AEDST on December 21. The Moon has risen in total eclipse, and as the twilight sky darkens, the shadow slips off the Moon. On the evening of Tuesday, December 21, there will be a total eclipse of the Moon. Unfortunately, for Australians it will only be seen in North-Eastern Australia, with Queensland getting the best view, followed by New South Wales. For both these sites, the Moon rises around the end of totality, with deeper immersion for Queensland, the better the farther north you are. 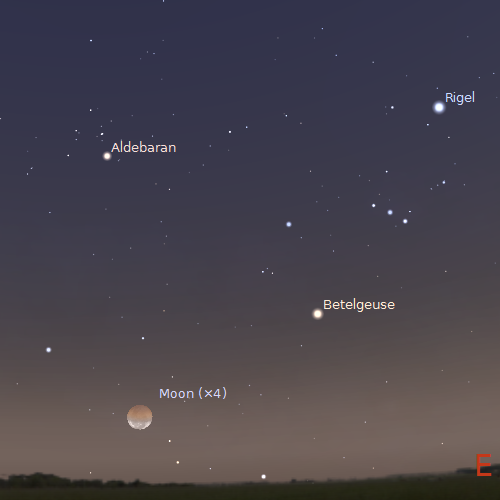 As the eclipsed Moon will rise in the twilight, the twilight will wash out the appearance of the eclipsed Moon. However, the Moon should appear dimmer than normal, and as it rises there should be a gradual brightening of the southern part of the Moon, more easily seen as the sky darkens. Eastern horizon as seen from Brisbane at 7:45 pm AEST on December 21. The Moon has risen in total eclipse. By the time the sky is fully dark, the Earth's shadow will have slipped off the Moon (actually, the darker inner shadow, the Moon will still be in the outer shadow, but it will not be visible under these conditions). In Melbourne and Adelaide, the Moon rises with the eclipse almost over, and only the thinnest sliver of the Moon in Earths shadow. Northern Territory and WA see nothing. New Zealand sees an even better eclipse, with totality occurring closer to the end of twilight. The best views are in the Americas. See here for a map and contact timings in UT for sites worldwide. UPDATE: For the folks who have been googling "can i look directly at the lunar eclipse on tuesday the 21st 2010" the answer is yes, you can (It's solar eclipses you have to be careful with). Eastern horizon as seen from Cairns at 7:45 pm AEST on December 21. ...it was clouded out. Are you surprised? I saw one. A very nice one, about as bright as Sirius. It shot over Taurus leaving a trail behind. I also saw two dim sporadics. I got up at 2 am to watch the Geminids only to find clouds wandering over the sky. I got a nice postion to watch, and it was pleasantly warm, but after half an hour of increasing cloud I gave up. Still I got to see one Geminid. Haven't seen too many reports on the web. Cloudbait over in the US has some nice pictures and animations. IceInSpace readers forums report roughly one ever 6 minutes, down from what I expected, but the Geminid Live site also shows fewer Geminids ( apeak of around 80/hr rather than 120/hr ZHR). UPDATE: Spaceweather has links to lots of meteor pictures from this years shower. 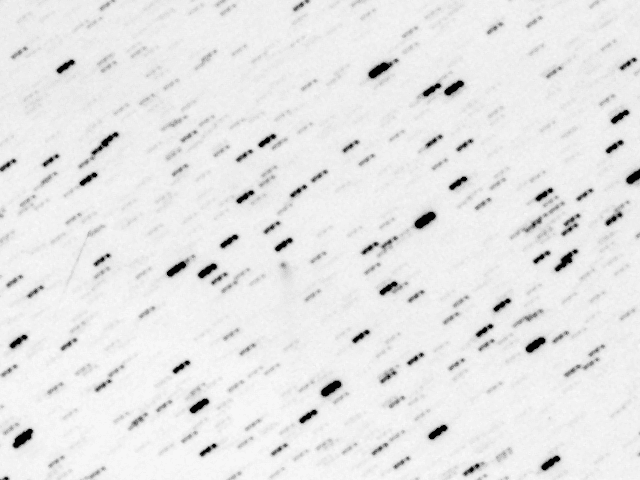 Asteroid 596 Scheila taken with the Global-rent-a-scope GRAS-02 instrument at astronomical twilight on 13 December from Mayhill, New Mexico. The image is a stack of 5x60 second exposures, SUMMED in ImageJ and despeckeled. Well, it's not the best image of Scheila, but you can see the coma around Scheila. I needed more images to stack, but as I could only start imageing right on astronomical twilight, I couldn't get a bigger stack. The twilight already contaminated the images so the result was less than impressive. Why did I wait until astronomical twilight? I was at the National Australian Science Communicators Annual General Meeting (being a councilor for the SA ASC chapter), and couldn't start my observing run until it was over. 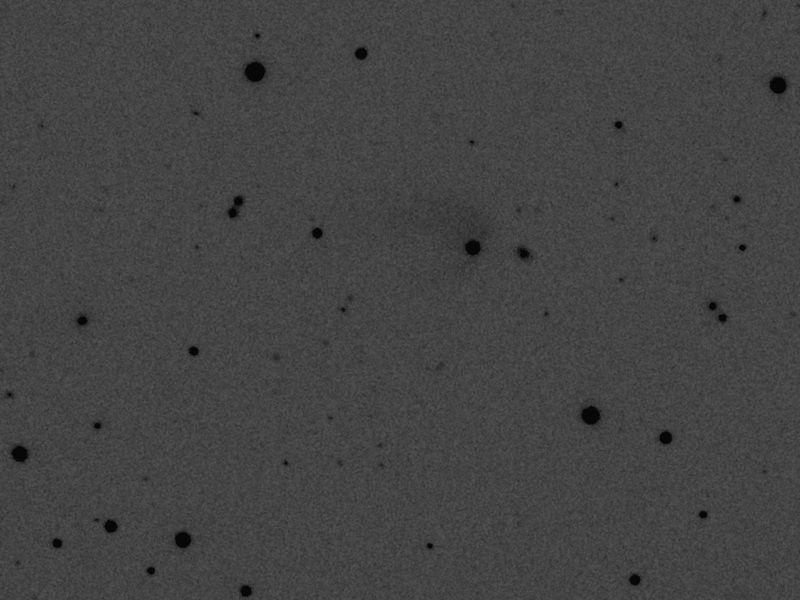 Anyway, if you want to see some good images of the comet-like coma around 596 Scheila, here is Martin Moberly's image taken on G-11, J-F Soulier's images, W-T Hsu's images, and Joseph Brimacombe has some amazing animations here and here, as well as some great images. Scheila, a 113 Km diameter rock, joins a growing list of asteroids like 3200 Phaethon, which have shown comet-like characteristics. Whether this is a true outburst of buried cometary material, or the results of an impact, remains to be determined. Astro Bob has a longer discussion of what this outburst means. The Full Moon is Tuesday December 21. There is a Lunar Eclipse which will be best seen from North-eastern Australia on the 21st. Earth is at solstice on the 22nd. Jupiter is easily seen in the evening sky. Venus visible together with Saturn and the bright star Spica in the morning sky. On the evening of Tuesday, December 21, there will be a total eclipse of the Moon. Unfortunately, it will only be seen in North-Eastern Australia, with Queensland getting the best view, followed by New South Wales. For both these sites, the Moon rises around the end of totality, with deeper immersion for Queensland, the better the farther north you are. What you will see will be difficult to describe, as the eclipsed Moon will be washed out by the twilight. However, the Moon should appear dimmer than normal, and as it rises there should be a gradual brightening of the southern part of the Moon, more easily seen as the sky darkens. By the time the sky is fully dark, the Earth's shadow will have slipped off the Moon (actually, the darker inner shadow, the Moon will still be in the outer shadow, but it will not be visible under these conditions). In Melbourne and Adelaide, the Moon rises with the eclipse almost over, and only the thinnest sliver of the Moon in Earths shadow. Northern Territory and WA see nothing. See here for a map and contact timings in UT. 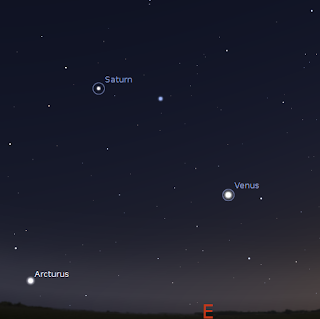 Morning sky looking east as seen from Adelaide at 5:00 am daylight saving time on Saturday December 18 showing Saturn, Venus and the bright star Spica. Similar views will be seen elsewhere at the equivalent local time. Click to embiggen. 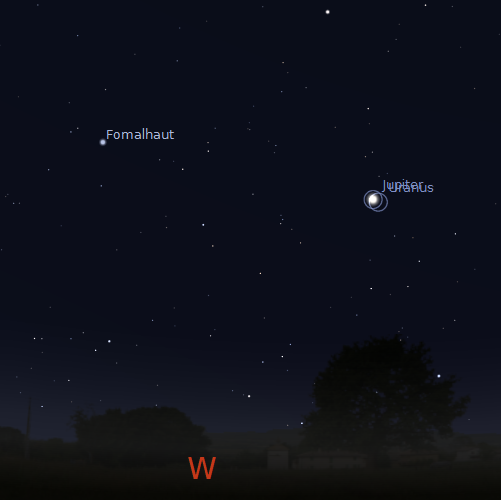 Bright white Venus continues to rise above the eastern morning horizon and is now readily seen in the early morning sky. 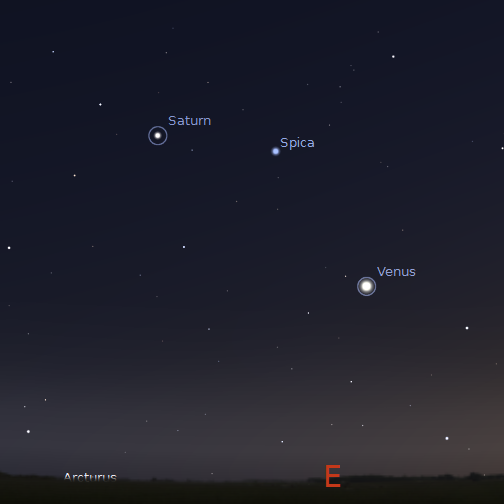 Venus, Saturn and the bright star Spica form a narrow triangle in the morning sky. Venus's crescent shape is easily seen in small telescopes. Venus will progressively decrease in size and wax towards "First quarter" over the coming weeks. Evening sky looking west showing Jupiter and Uranus at 10:00 pm local daylight saving time on Saturday December 18. Click to embiggen. Mercury and Mars are now lost to sight in the twilight glow. The variable star Mira is visible to the unaided eye but fading, by the end of the week the Moonlight will be too strong to see Mira. 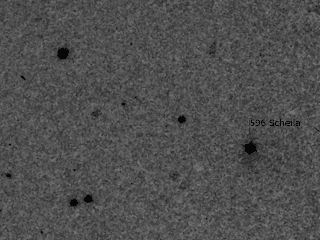 Asteroid 596 Scheila has a cometary outburst. 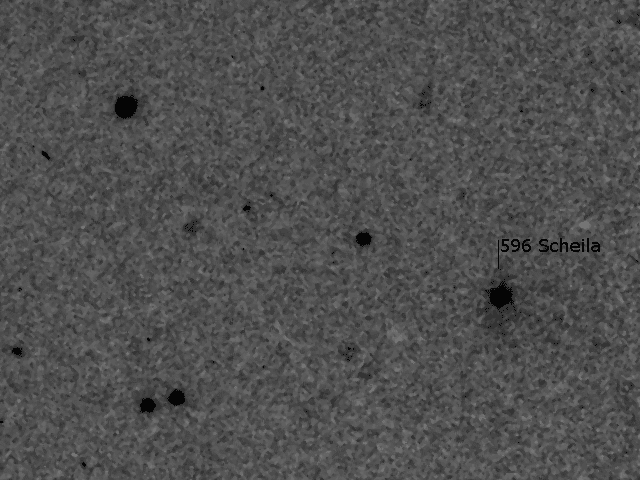 Over at the Global-Rent-a-scope news blog, asteroid 596 Scheila has been reported to have had a cometary-like outburst, and GRAS observers have confirmed this. 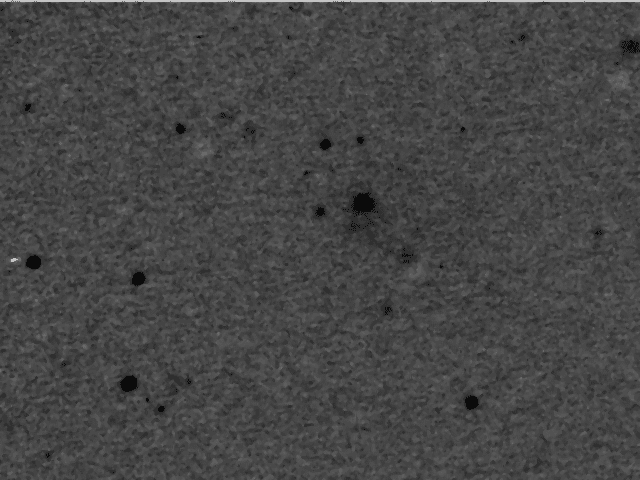 See more images and the story at the Remanzacco Observatory blog, from GRAS observers Ernesto Guido and Giovanni Sostero (most recent image here), and this nice image from Rolando Ligustri here. The asteroid is enveloped in a spiral cloud or tail, I'll try and keep you updated as the outburst evolves. The radiant of the Geminid meteor shower above the northern horizon as seen from Adelaide at 3:00 pm ACDST on December 15, similar views will be seen from other sites at equivalent local times. The Geminid Meteor shower is at its peak from the point of view of Australian's on the mornings of Tuesday 14 December and Wednesday 15 December. The actual peak is December 14, 11 UT, which is 10 pm AEDST (well before the radiant rises), but unlike the Leonids the Geminid peak is broad, and we should see decent rates on the mornings of the 14th and 15th (better on the 15th). The best time to observe is between 1 and 4 am (daylight saving time, 12-3 am non-daylight saving time), with the highest rates between 2-3 am daylight saving time. The Moon will have set by the time the Geminid radiant is high enough in the northern sky for decent meteor rates to be seen. In Australia we should see roughly a meteor every 3 minutes (depending on how dark you sky is, the more light pollution, the fewer meteors you see). When looking, be sure to let your eyes adjust for at least 5 minutes so your eyes can be properly adapted to the dark. Don't look directly at the radiant site, because the meteors will often start their "burn" some distance from it, but around a handspan up or to the side. Be patient, although you should see an average of a meteor every three minutes, a whole stretch of time can go by without a meteor, then a whole bunch turn up one after the other. Make yourself comfortable, choose an observing site that has little to obstruct the northern horizon, have a comfortable chair to sit in (a banana lounger is best), or blankets and pillows. A hot Thermos 0f something to drink and plenty of mosquito protection will complete your observing preparations. As well as meteors, keep an eye out for satellites (see Heavens Above for predictions from your site). The sky will also be particularly beautiful, with the constellations of Orion and Taurus gracing the north-western sky and Saturn and Venus rising in the east. You can check meteor rate predictions for you local site with the NASA meteor flux estimator (scroll down to 4 Geminids in the SHOWER box, make sure you have your location and date correct as well). You can follow world wide Geminid counts at the IMO live Geminid site. Go and have a read, it's great! Image Left: Stack of 4 x 60 min images of comet 2010 B1 cardinal aligned on the comet using ImageJ and MAX Z projection, then inverted to show faint tail details better (click to embiggen) Right Image: Stack of 4 x 60 min images of 2010 B1 cardinal aligned on the stars using ImageJ and MAX Z projection, then inverted (click to embiggen). All images taken on 9-12-10 using the global-rent-a-scope GRAS-05 instrument. 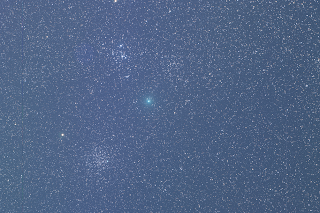 Image of the field of Comet 2010 B1 Cardinal in colour (click to embiggen). 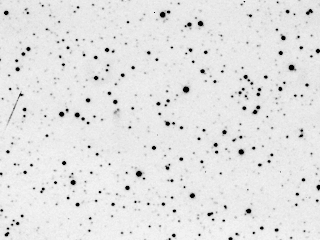 Sadly, the comet is too faint to show up in the colour images, but the field showing Do24 and another open cluster is really beautiful. 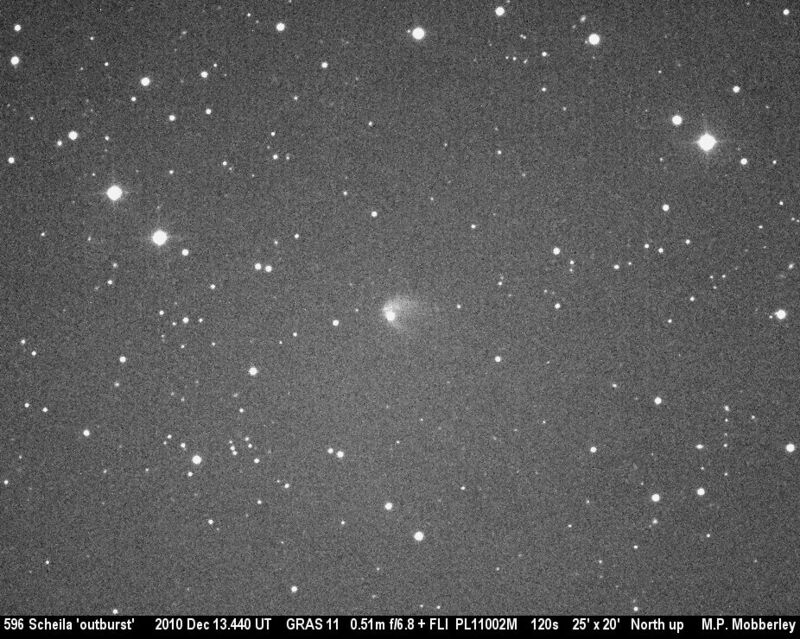 Comet C/2010 B1 Cardinal near the open cluster D024. 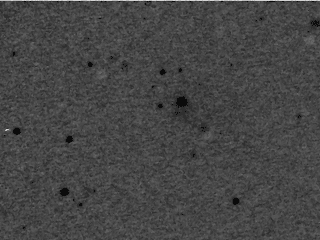 Image is a stack of 4x60 second exposures with the GRAS-05 instrument stacked in ImageJ then a max Z stack applied (click to embiggen). This is I am way behind on my comet astrophotography, I have lots of lots of images to process and some potentially exciting colour exposures. But I need SLEEP. Carnival of Space #180 is here. Carnival of Space #180 is now up at Starry Critters. It's full of stars! Hurry on over now for a read! Mercury is low to the horizon in this image from the evening of December 8, taken from Largs North, Adelaide. The nearby crescent Moon glows with Earthshine (click to embiggen). I missed the Mercury-Moon encounter on the 7th, most Australians did, due to cloud and rain (indeed most Australians were worried about serious flooding than watching for planets. Still last nights grouping of Mercury and the Moon emerged from cloud long enough for me to image. Mercury will become a lot more difficult to see over the week. ...my mum was one of 9 people given awards for volunteer services to sport at the 16th Annual Sporting awards in Brisbane, QLD. Volunteer's are the backbone of so many groups, not just sporting groups, and I was very pleased to see a wide variety of volunteers given recognition (my mum is my favourite of course, but congratulations to all of you). Mum's the short one up the front. I get my height from her. The First Quarter Moon is Monday December 13. Mercury and Mars close Dec 13-14. Jupiter is easily seen in the evening sky and is close to the moon Dec 13. Venus visible together with Saturn and the bright star in the morning sky. Geminid meteor shower morning 14 and 15 Dec. Occultation of eta Piscium Dec 16. 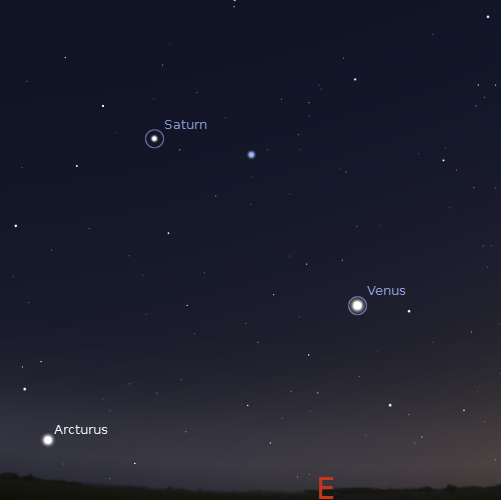 Morning sky looking east as seen from Adelaide at 5:00 am daylight saving time on Sunday December 12 showing Saturn, Venus and the bright star Spica. Similar views will be seen elsewhere at the equivalent local time. Click to embiggen. The First Quarter Moon is Monday December 13. 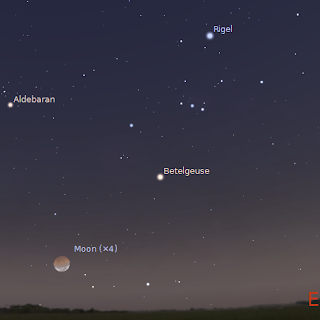 On the evening of Thursday, December 16 the waxing moon will pass in front of the moderately bright star eta Piscium. The star will pass behind the Moon just after midnight on the east coast (daylight saving time) and around 11:30 central states (daylight saving time. A list of exact times for major cities (uncorrected for daylight saving time) is here. The occultation will be visible to the unaided eye, but will be best in binoculars or telescopes. 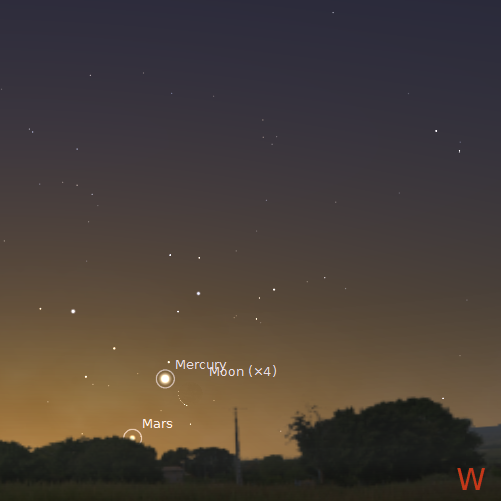 Evening sky looking west showing the Mars and Mercury at 8:50 pm local daylight saving time on Monday December 13. Click to embiggen. 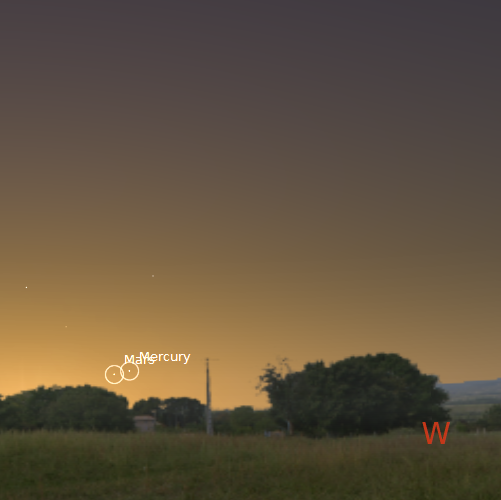 Mercury is lowering in the evening sky and will disappear in the twilight by the end of the week. On Monday December 13 and Tuesday December 14 Mercury and Mars are close. However, they will be difficult to see in the twilight, and you will need a clear, level horizon to have any chance at all. The variable star Mira is visible to the unaided eye but fading. You can watch Mira fade over the coming week, before Moonlight interferes. Comet 103P Hartley above the northern horizon at 10 pm ACDST (9 pm daylight saving time) as seen from Adelaide on December 12, similar views will be seen from other places at equivalent local time. 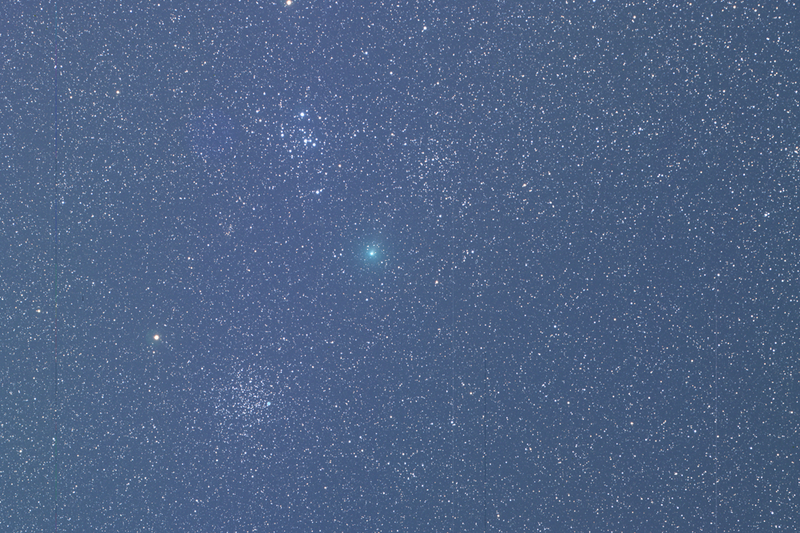 Comet 103P Hartley 2 continues to rise higher in the southern skies. 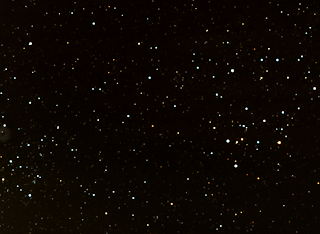 It now rises well before midnight and is very high in the sky near Canis major and Sirius in the early morning. 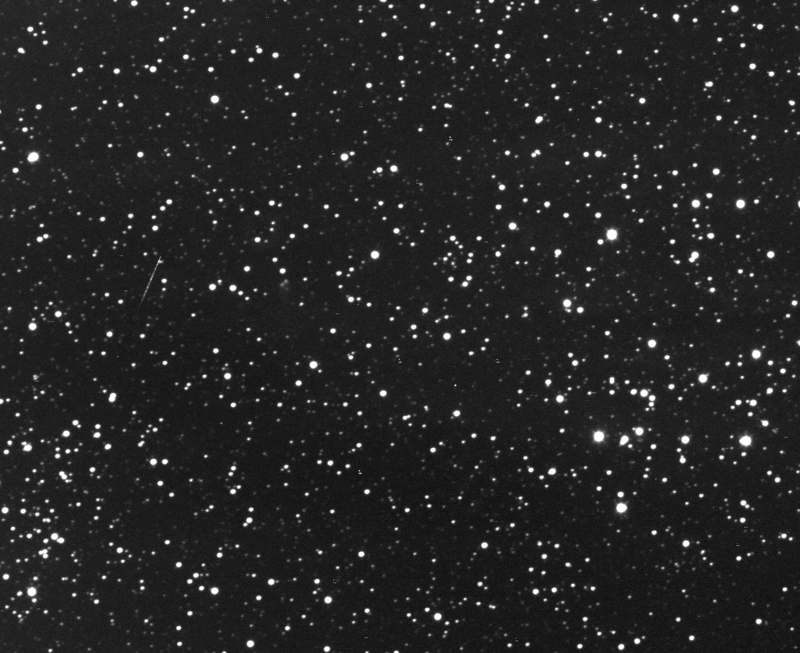 The comet is fading, under dark skies binocular viewers will find it difficult to see the faint smudge near the open clusters M46 and 47. By the end of the week it is no longer visible in binoculars. Click the link for printable maps of comet 103P/Hartley. The radiant of the Geminid meteor shower above the northern horizon as seen from Adelaide at 3:00 pm ACDST, similar views will be seen from other sites at equivalent local times. 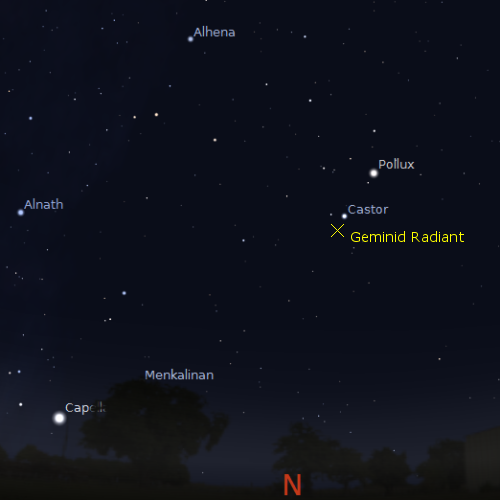 The Geminid Meteor shower is at its peak from the point of view of Australian's on the mornings of Tuesday 14 December (13 December UT) and Wednesday 15 December. The best time to observe is between 1 and 4 am (daylight saving time, 12-3 am non-daylight saving time), with the highest rates between 2-3 am daylight saving time. 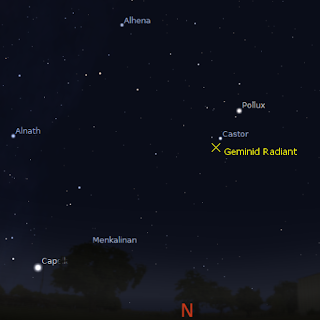 The Moon will have set by the time the Geminid radiant is high enough for decent meteor rates to be seen. In Australia we should see roughly a meteor every 3 minutes. You can check predictions for you local site with the NASA meteor flux estimator (scroll down to 4 Geminids in the SHOWER box, make sure you have your location and date correct as well). 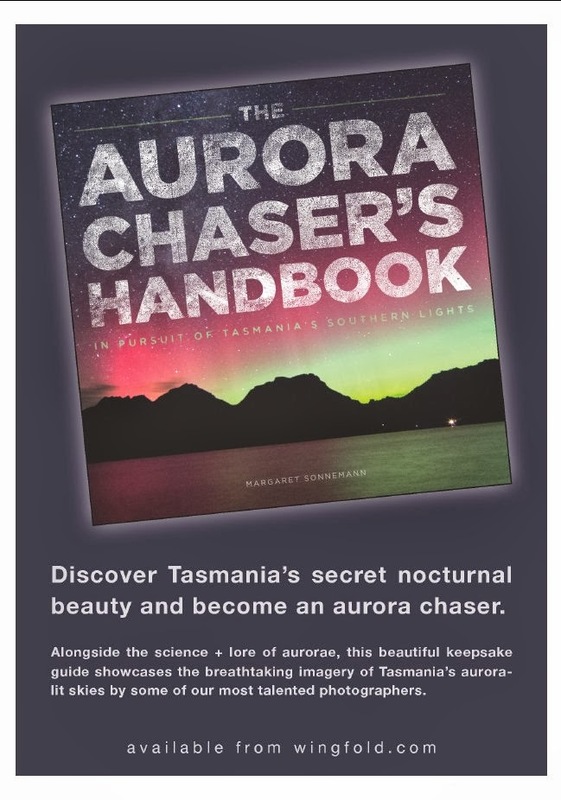 Southern Skywatch December 2010 edition is now up! The December edition of Southern Skywatch is now up and the planetary action continues. Mercury meets the Moon in the evening. Venus and Saturn meet the Moon twice this month. Venus is an obvious crescent in small telescopes and strong binoculars. Jupiter is well past opposition, but it is still a good time to break out the telescopes to observe this world and its Moons. Jupiter is easily visible in the late evening sky and is within binocular range of Uranus with the air coming close at the end of December. Comet 103P/Hartley is visible in southern skies in binoculars in the early part of the month. 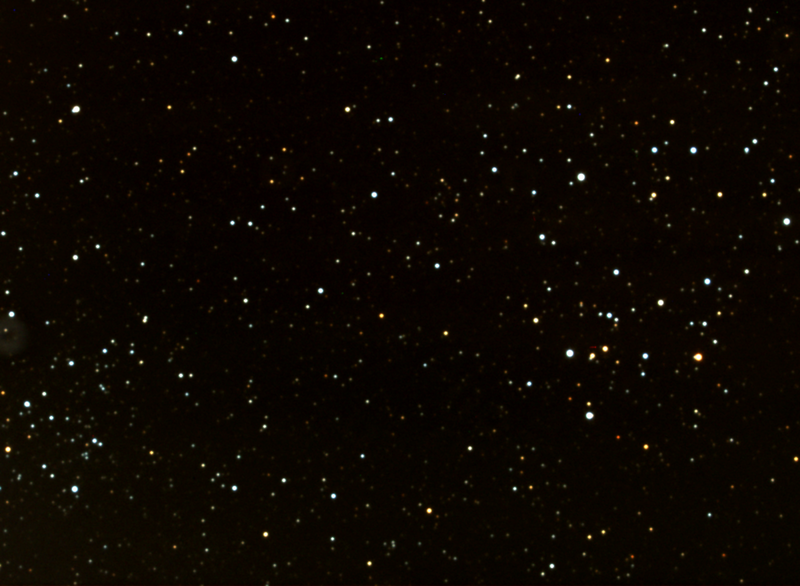 The variable stars Mira and Algol are good to watch this month. .. about to head into internet free land for the next 4 nights. 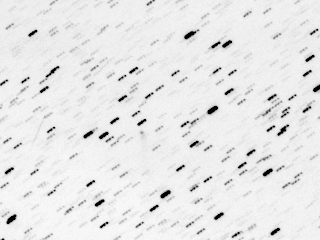 I haven't finished uploading Southern Skywatch, comet 103P is in amazing territory and there are bugs using arsenic for their DNA backbone instead of phosphorous. At least my exam results are in. Now I get to see my mum be presented an award for years of volunteer service for sport. See you all on Tuesday. 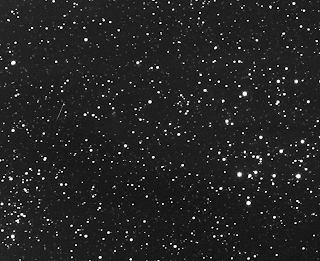 Although Comet 103P Hartley is fading, it is amongst some wonderful clusters at the moment. The image is a shot from Global Rent a Scope GRAS-14 (click to embiggen). The image is a colour stack of 120 second RGB images stacked in Image J using the colour image processing function and a bit of contrast fiddling. It's far too blue, so I have to do some more adjustment. Carnival of Space #179 is here. Carnival of Space #179 is now up at Weird Sciences. 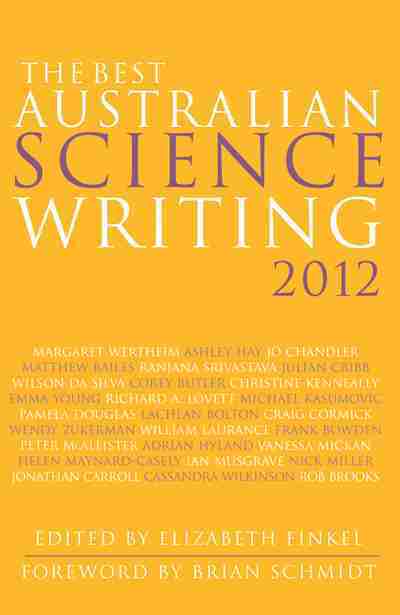 There's Lunar Colonization, plasma rockets, weird variable stars, the coolest objects in the galaxy and much, much more. Zip on over and have a read.